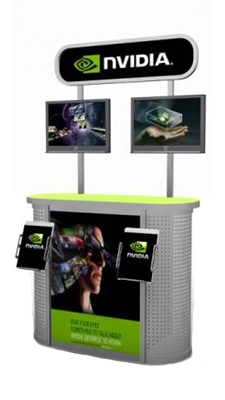 Smart trade show display design incorporates practical counter displays, workstations, pedestals, and towers. But “practical” doesn’t mean dull and boring to Exhibit Solutions. 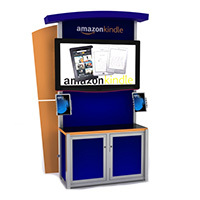 Our trade show kiosks and counter designs are stylish and indispensable additions to any display or exhibit. 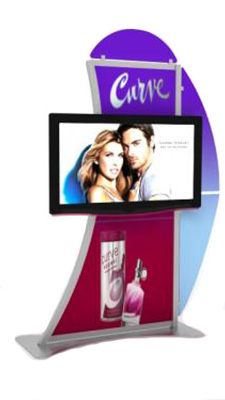 Choose from portable, modular, and “made just for you” custom display creations. 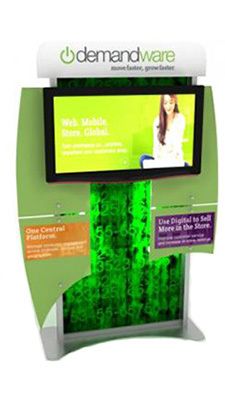 Transform your message into an engaging, interactive presentation with an A/V workstation or tower kiosk. 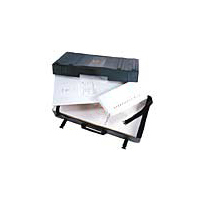 You can ship with confidence knowing that the packaging enhances the long life of your kiosk or workstation. 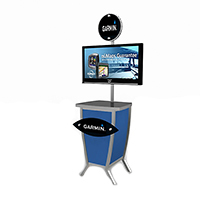 Sometimes the right trade show solution is one “designed just for you.” Consult with a solutions professional for the perfect display.